This is my favorite “breakfast for dinner” meal. I know this list of spices seems intimidating. Listen, I’m a spice hoarder. I HOARD SPICES. When it comes down to it, just use what you’ve got on hand. I would at the very least do sage, thyme and garlic powder to get that delicious sausage-y spice. 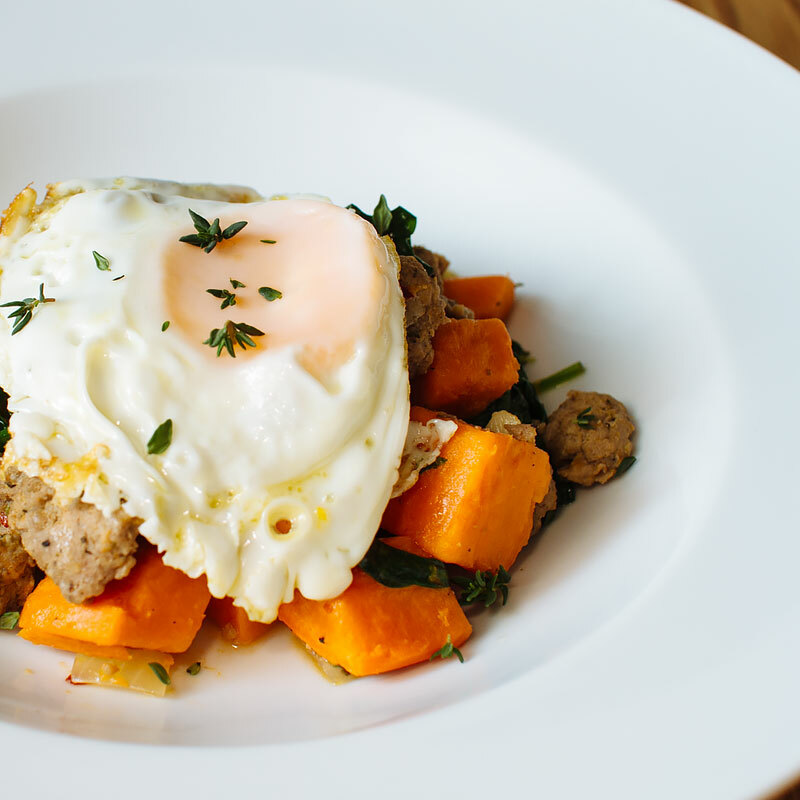 You can form the turkey mixture into patties and fry them up, but I prefer the little chunks of sausage for a hash. 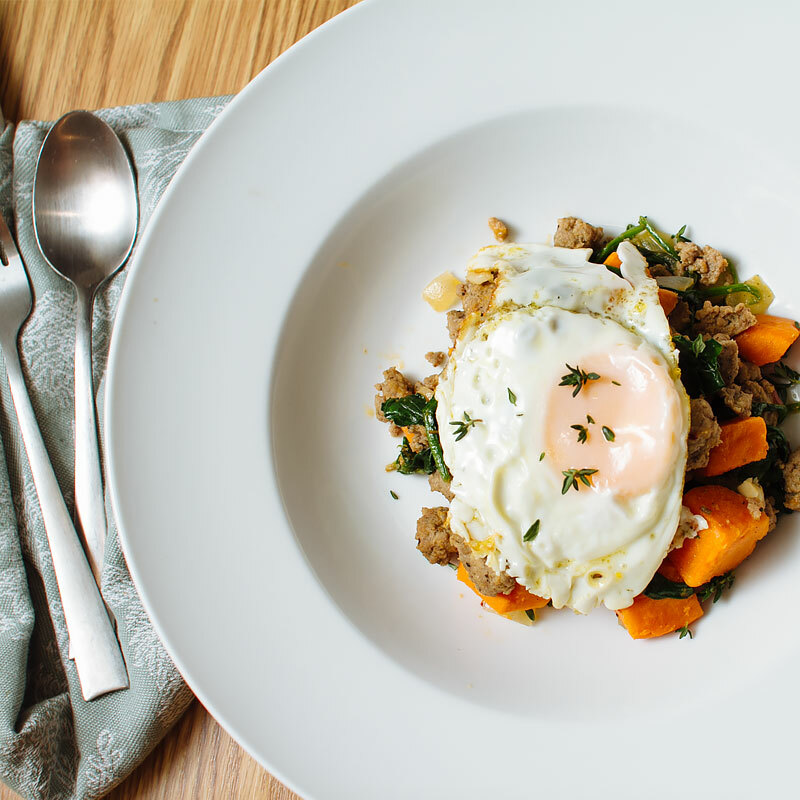 As far as vegetables are concerned, this recipe is super adaptable. It’s a great “hurry and use this up before it goes bad” dish. I’ve done versions of this with mushrooms, kale, mustard greens… just adjust the cooking time as needed if you use a heartier green like kale. 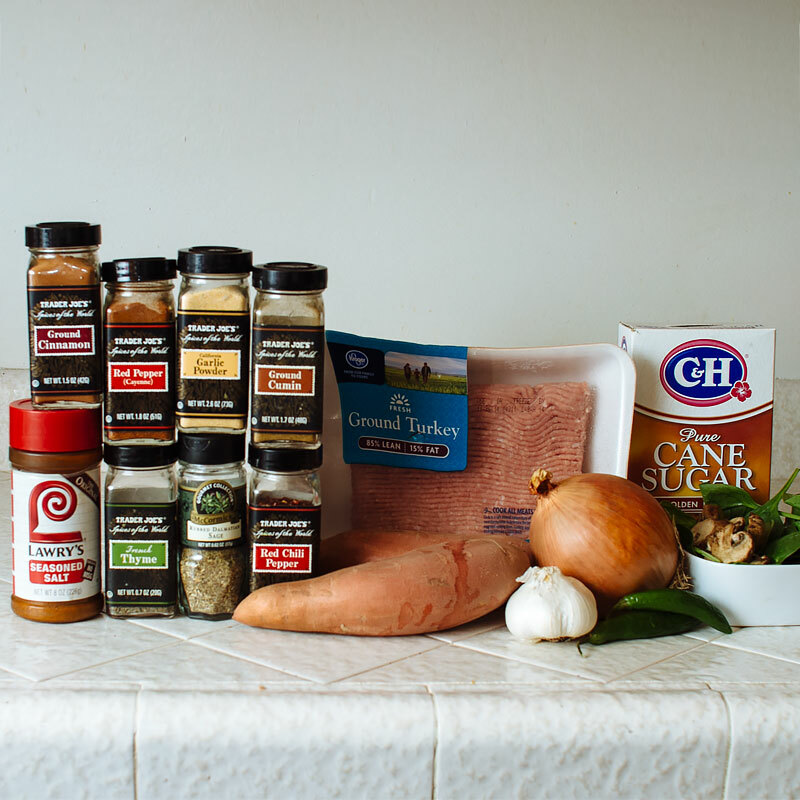 Paleo friends – just leave the sugar out of the sausage spice mixture and you’re good to go! 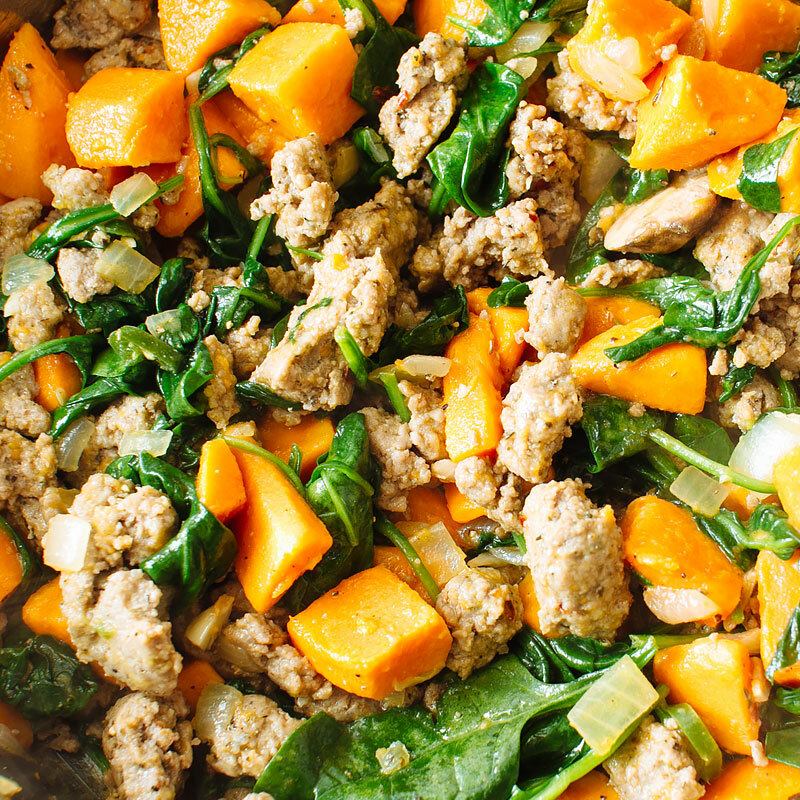 You’ll need cinnamon, seasoned salt, cayenne pepper, garlic powder, cumin, thyme, sage, chili flakes, ground turkey, sweet potatoes, onion, garlic, Serrano chilis, spinach and brown sugar. Don’t let the spices scare you – see the notes in the recipe below for substitutions. 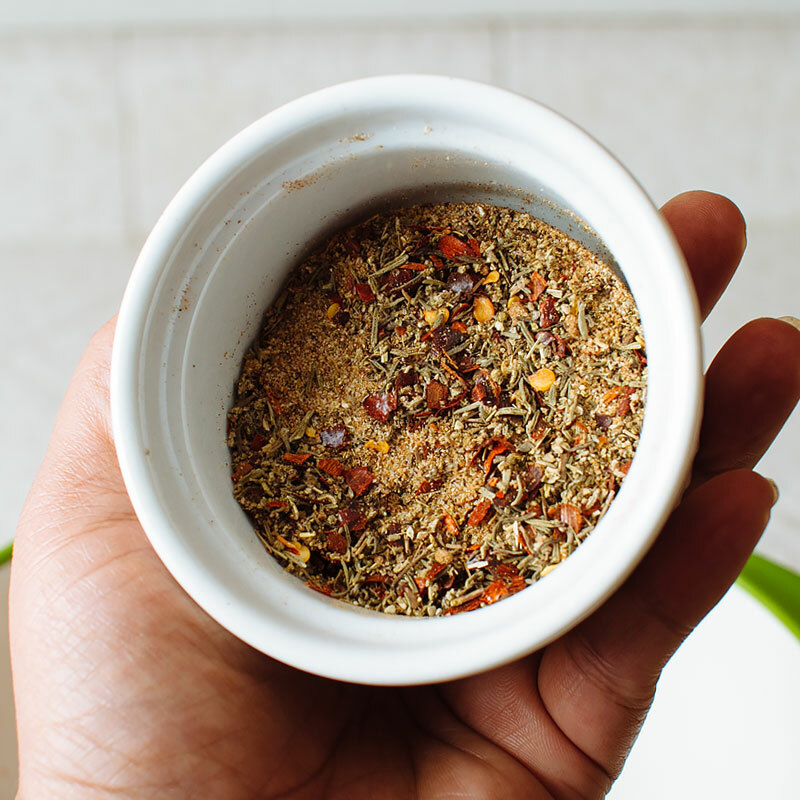 Combine the sage, thyme, chili flake, cayenne pepper, garlic power, cumin, cinnamon, brown sugar, seasoned salt and pepper in a small bowl and mix well. Add the spice mix to the ground turkey, along with 1 tbsp of olive oil. Mix well and chill while sweet potatoes cook. 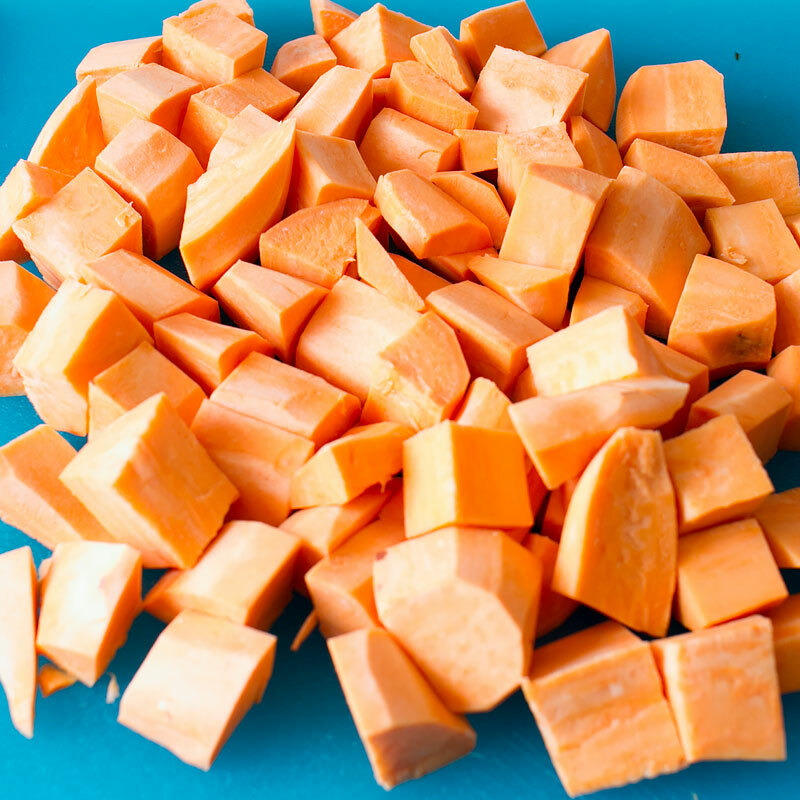 Dice sweet potatoes into chunks about 1″x1″. Boil until tender and a fork can easily pierce the potato, about 10-15 minutes. Don’t overcook them, we don’t want mashed hash! Saute the chopped onion, garlic and Serrano chilis in olive oil until the onions soften, about 5 minutes. Add in turkey sausage mixture, breaking it down into large chunks with a wooden spoon. Saute until cooked through. Add in cooked and drained sweet potatoes and stir to combine. 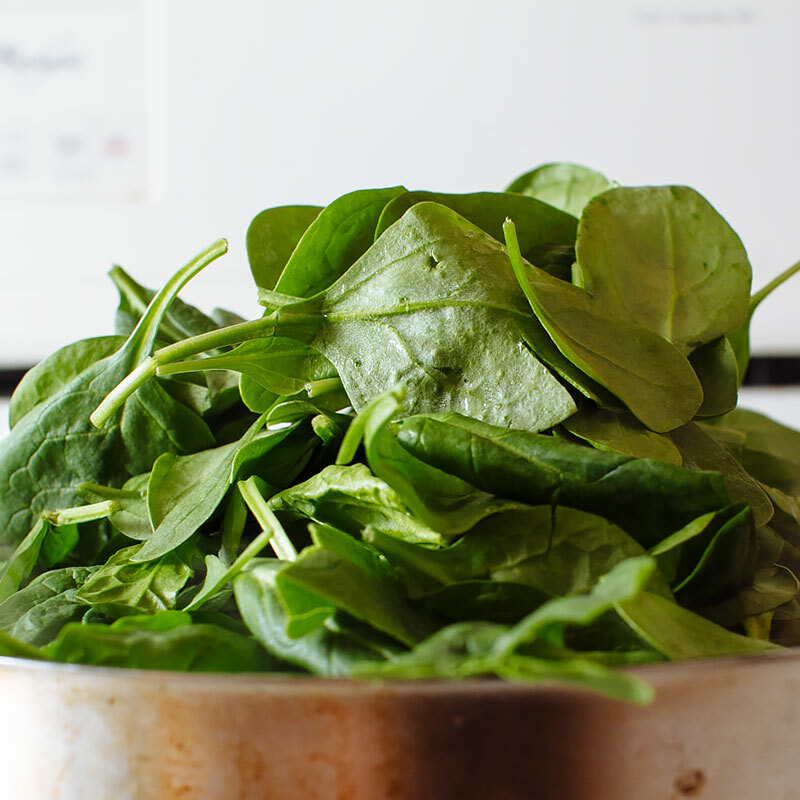 Once the spinach has wilted, it’s done! …but when I’m feeling extraly breakfasty, I add an over-medium egg on top. In a small bowl, combine the sage, thyme, chili flake, cayenne pepper, garlic powder, cumin, cinnamon, brown sugar, seasoned salt and ground pepper and mix thoroughly. 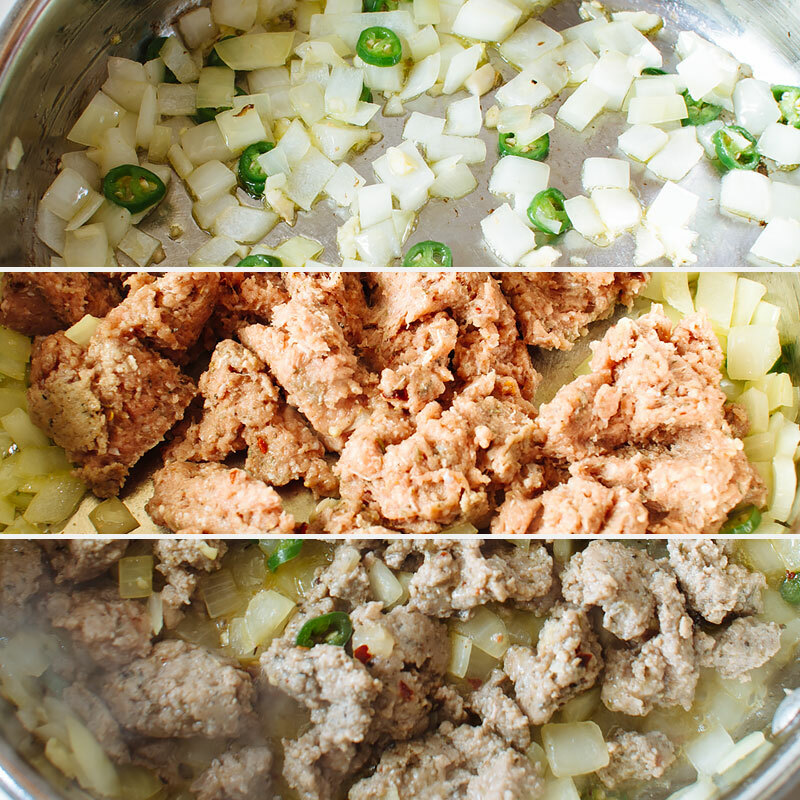 In a medium bowl, combine ground turkey, spice mixture and olive oil. Chill while potatoes cook. Dice sweet potatoes into 1" chunks and boil until just tender and a fork can easily pierce the flesh, about 10-15 minutes. Don't overcook, or you'll end up with mashed sweet potatoes instead of hashed sweet potatoes. Drain and set aside. In a large pan, heat olive oil over medium heat. Add in onion, garlic and diced chili peppers and saute until onions soften, about 5 minutes. Add in turkey sausage mixture, using a wooden spoon to break into large pieces. Cook until no longer pink. 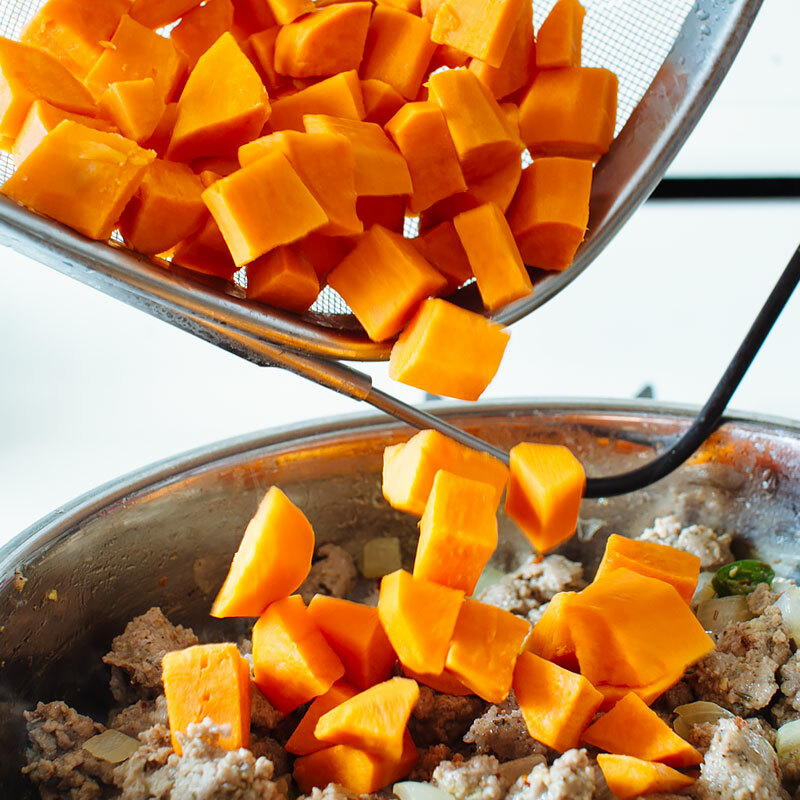 Once the turkey has cooked through, add in the cooked sweet potatoes and stir to combine. Add in spinach and cook until wilted. Serve as is, or with a fried egg on top! Spices: I know the list of spices is a bit... much. 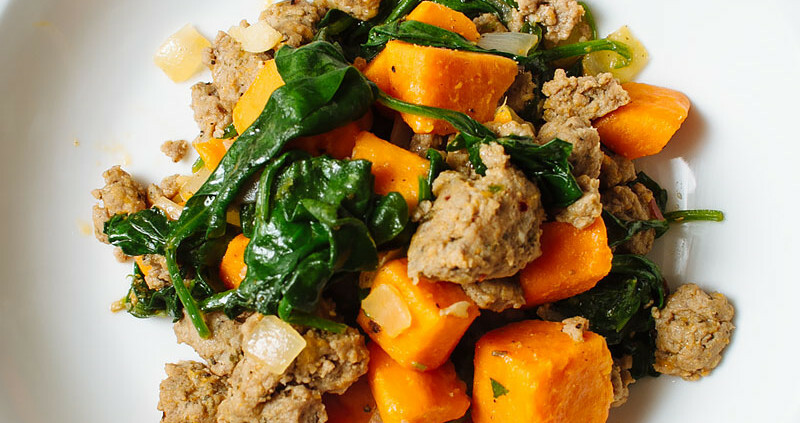 To get that delicious sausage flavor, definitely use the thyme, sage and garlic powder. The other spices are icing on the cake. Make it Paleo! 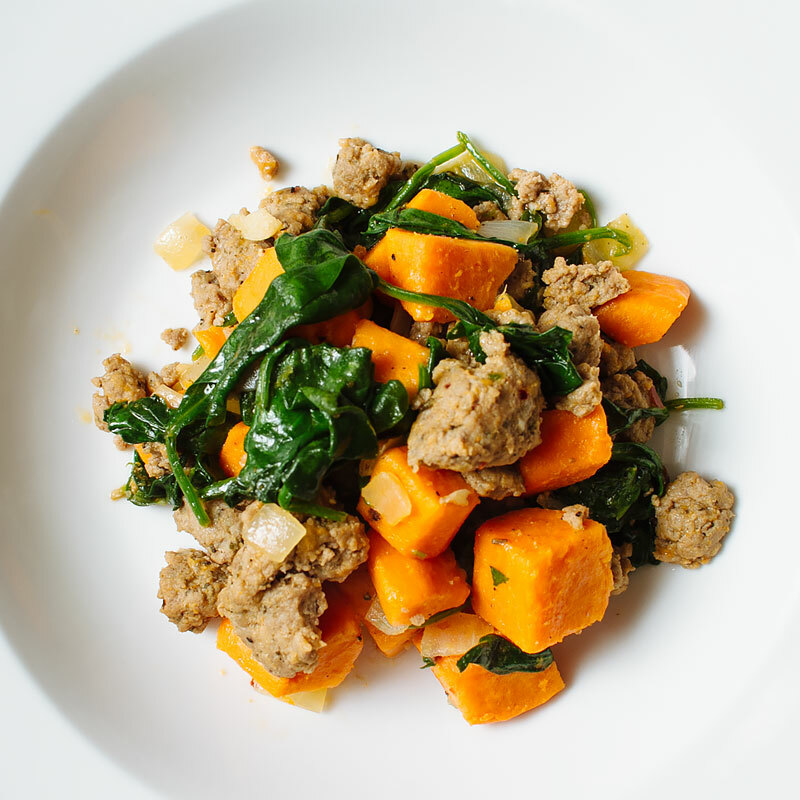 : Leave out the brown sugar in the sausage seasoning and you've got a paleo-friendly meal!